I'm proud and happy to present the 7th Reykjavík Midsummer Music, a festival where some of the world's leading musicians gather in Harpa concert hall to spend a few bright, Icelandic summer evenings playing the most wonderful music at the edge of their seats. 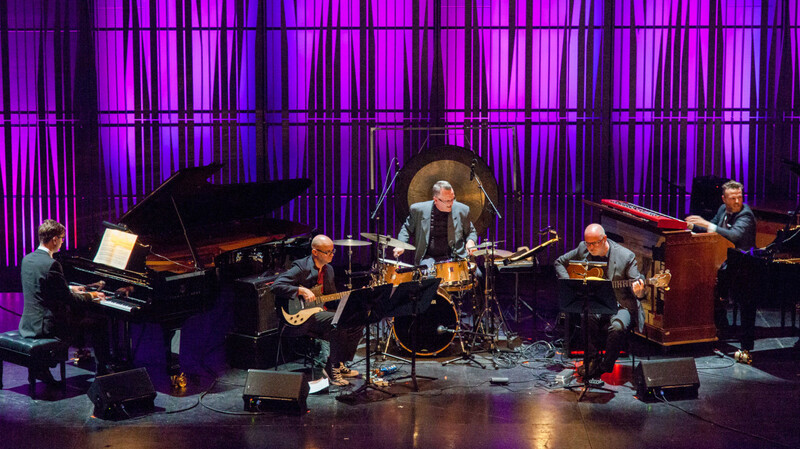 Each concert is curated to include a thrilling mix of old and new works, highlighting unexpected connections and creating fresh a context for great music. See you in Harpa, June 20-23. 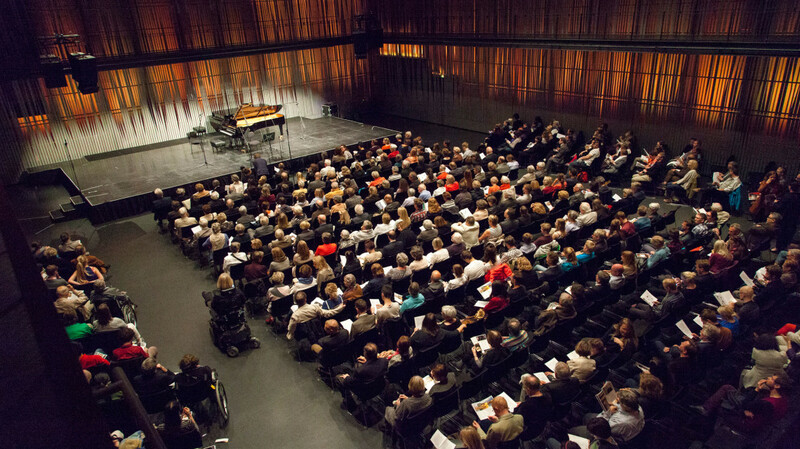 In the opening concert of Reykjavík Midsummer Music 2019 in the symphonic auditorium Eldborg Hall, three giants of German and Russian chamber music gaze inwards, reminisce on memorable persons and places, and contemplate life’s mysterious, bitter-sweet impermanence. The concert begins with Johannes Brahms’s final song cycle, Vier ernste Gesänge, or Four Serious Songs, which Brahms wrote during his beloved friend Clara Schumann’s last days. The song cycle is both mournful and strikingly beautiful, perfect for the dark, warm voice of Austrian baritone Florian Boesch. Dmitri Shostakovich wrote his magnificent Piano Trio No. 2 in the memory of a recently deceased friend, Ivan Sollertinsky, who had been a trusted ally to the composer through thick and thin – even Stalin’s persecution. The final work on the programme is brighter in spirits. Pjotr Tchaikovsky wrote his Souvenir de Florence inspired by the Italian city’s beauty and atmosphere. This extraordinary work was originally written for a string sextet, but now receives its Icelandic premiere in a brilliant new arrangement for piano trio by Matan Porat. In classical music, time is relative. Contemporary musicians enjoy collaborative conversations with music of the past that are both creative and innovative. This applies particularly well to the music of Johann Sebastian Bach, who, despite being considered old fashioned in his own time, constantly brings fresh tidings to contemporary ears – as can clearly be heard both in the elegant Sonata for violin and keyboard in F-minor and in the curious selection of arias featured in this programme. When it comes to musical conversations with colleagues of the past, few rival the Hungarian composer György Kurtág and his delicate miniatures – works that prove that the most impressive monuments are not necessarily the largest ones. In this concert, movements from Kurtág’s Hommage á Schumann for clarinet, viola and piano are intertwined with Robert Schumann’s own adventure tales for the same instruments, Märchenerzählungen, opening up a correspondence across the centuries for the audience to enjoy, before a contemporary composer, Mark Simpson, enters the conversation with his own homage to Kurtág. The concert ends with Schumann’s timeless song cycle, where Florian Boesch’s silky voice delivers intimate messages from the recent past. 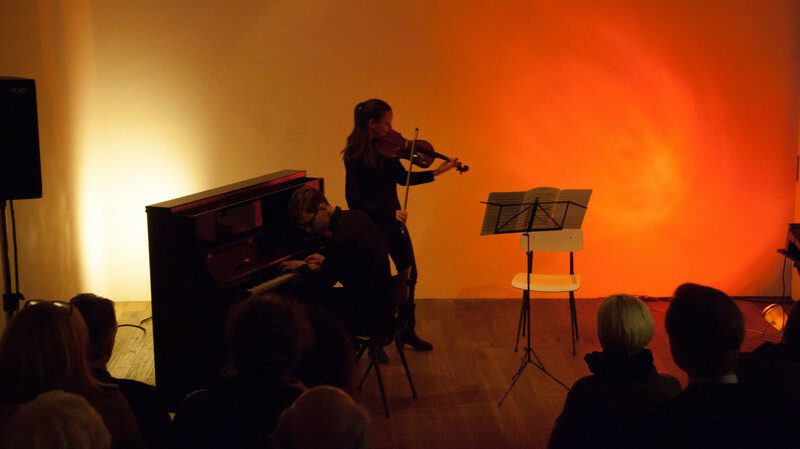 Light and shadows meet in this midnight concert in Mengi in Óðinsgata. The programme opens with Estonian master Arvo Pärt’s seminal work Fratres, one of the first works the composer wrote in his lucid and serene tintinnabuli-style after years of self-imposed silence. We then move on into darker territory under the guidance of the festival’s composer in residence, Mark Simpson, one of the most exciting voices in contemporary music. In the first work, Darkness Moves for solo clarinet, we get to experience his own performance in a work drawing its name from the title of the poetry collection by Belgian poet Henri Michaux. The latter work was written for cellist Leonard Elschenbroich, who gave its premiere in Wigmore Hall, and who performs it here as well. Both works are situated in a liminal space between this world and another – drawing the listener into dream-like states, sometimes bordering on the nightmarish, full of dark fantasy – even hallucinations. They are driven by powerful, visceral impulses, yet impeccably refined. The festival pass grants a 50% discount to this off-venue concert at Mengi. Full ticket price is 3.000 ISK. The first half of this concert is held up by the wings of butterflies. The programme features two works by two giants of new Nordic music, both centered on the butterfly, the ultimate symbol of delicate impermanence. On one hand, after having enough of the bold passions of opera, Finnish composer Kaija Saariaho turned her attention to butterflies in the year 2000 and wrote her Sept Papillon – Seven butterflies – a brilliant collection of miniatures for solo cello, where each movement represents a different perspective on this magical being and its motion. On the other, Danish composer Bent Sørensen wrote his grand trilogy of chamber music entitled Papillons in the years 2013-14, and its final installment, the piano quintet Rosenbad, is filled with mysterious and dreamlike sensations and emotions. After the intermission, other winged beasts take over, as the incomparable French piano duo Katia and Marielle Labèque play Ravel’s charming and graceful Mother Goose Suite. The final work of the concert brings even more beasts to the table – feathered as well as unfeathered ones. Camille Saint-Saëns’s Carnival of the Animals is incomparably frivolous and earnest at the same time – driven by the limitless inspiration of a composer in touch with his inner child. The amazing sound-world of Hans-Joachim Roedelius will be at the forefront at this late night concert at Mengi. The 85 year old living legend, still going strong , has been among the pioneers of experimental electronic and ambien music for decades and has had huge impact on musicians of all ages, all over the world. Here he invites us for a highly unpredictable and exciting musical journey, joined by other musicans of the RMM festival. 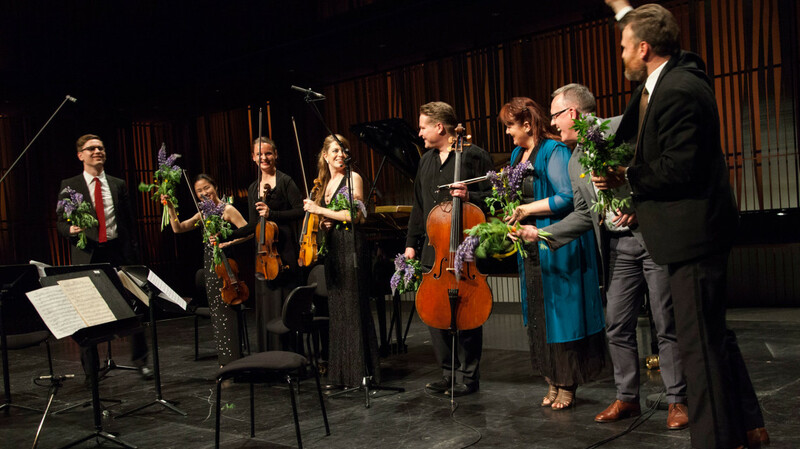 Reykjavík Midsummer Music’s Grand Finale concert in Eldborg spans a wide musical spectrum in which the artistic powers of this year’s incomparable roster of artists are on full display. The programme begins with the catchy, quasi-theatrical Overture on Hebrew Themes by Sergei Prokofjev – written for the unusual ensemble of a clarinet, string quartet and piano. A more serious atmosphere dominates Dmitri Shostakovich’s String Quartet No. 11 – a tightly woven work that despite its sparse style encompasses a whole world of fleeting memories and deep emotions. In fact, the same could be said about Johann Sebastian Bach’s famous piano concerto in F-minor, performed here by pianist Víkingur Ólafsson accompanied by a string quintet of festival artists. Its arrestingly graceful slow movement is one of the most beautiful slow movements in Bach’s entire oeuvre. The second half of the programme is centered on the piano and its possibilities, as elucidated by the foremost piano duet of our time, the French Labèque Sisters. In Sergei Rachmaninov’s Valse et Romance, however, a third pianist is needed – and Víkingur Ólafsson takes a seat between the two sisters in a thrilling, six-handed musical battle over the keyboard. The concert, and the festival itself, ends with a few brilliant minimalist works for piano duet by the two transatlantic prophets of divine simplicity – Arvo Pärt and Philip Glass. 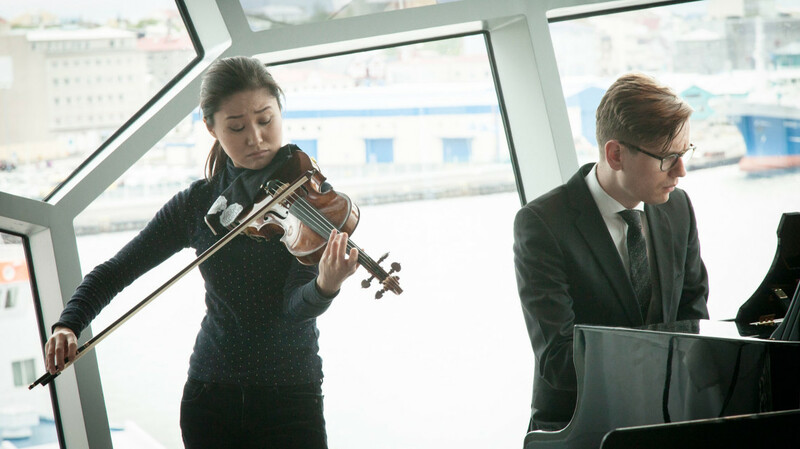 Reykjavík Midsummer Music is an award-winning chamber music festival founded by pianist Víkingur Ólafsson in 2012. 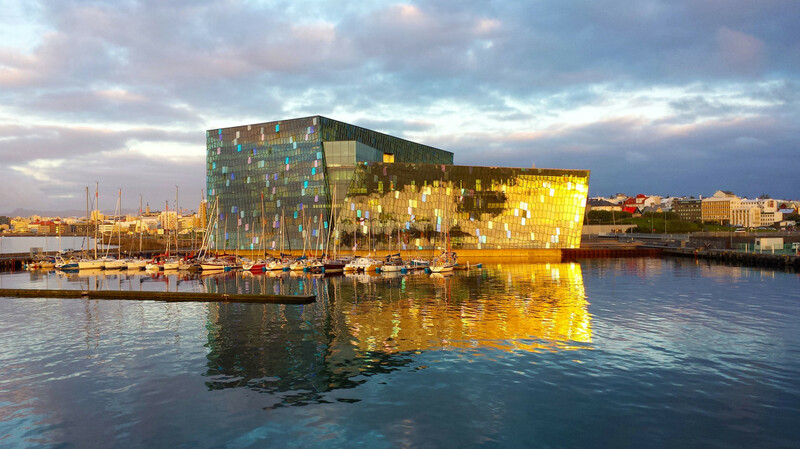 It takes place in Reykjavík’s magnificent concert hall, Harpa, every year around summer solstice – this year’s dates are 20 to 23 June. 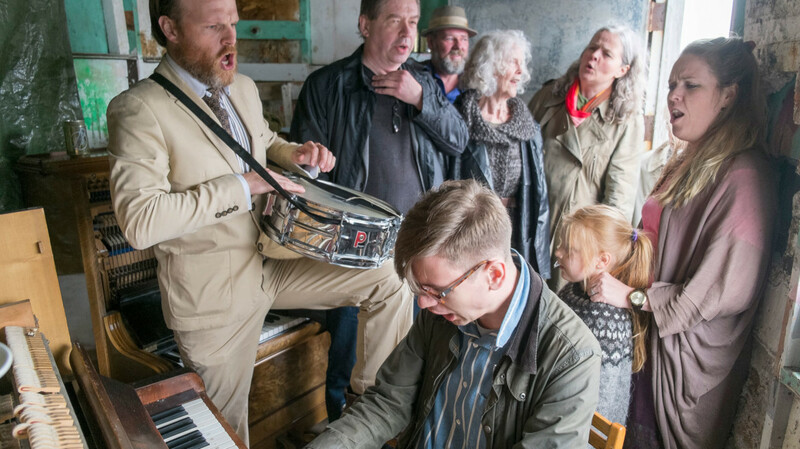 Since the festival’s inception, its goal has been to bring some of the best musicians of the world together in Reykjavík to play great music from all times under the arctic midnight sun. So far, it has been quite an adventure. Reykjavík Midsummer Music is a festival for the curious ear. The programming is based on the notion that all the music we play and listen to today is, in a sense, contemporary music, regardless of whether it was composed in the 17th century or the 21st. When works from different times and places are brought together in the right way, each concert becomes a story which has never been told before. And that is exactly how we like it. For your entertainment and enlightenment: Receive our latest news, information on dates and tickets, and, on special occasions, exclusive offers! Reykjavík Midsummer Music, Harpa Concert House, Austurbakka 2, 101 Reykjavík, Iceland.